We emerged fairly early from our cosy little cocoon to begin a long day of driving. 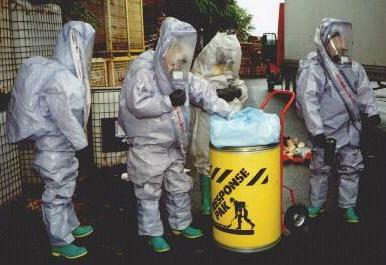 First of all we had to struggle through a crowd of guys in Hazmat suits who seemed to be clustered around the bin in the car park. Wonder what that was all about ! Anyway, first order of business, breakfast. We stopped at the Bosgouet motorway services south of Rouen ( www.rouen.fr ), just before you head down the new A28 towards Le Mans. It proved to be a bit busy. 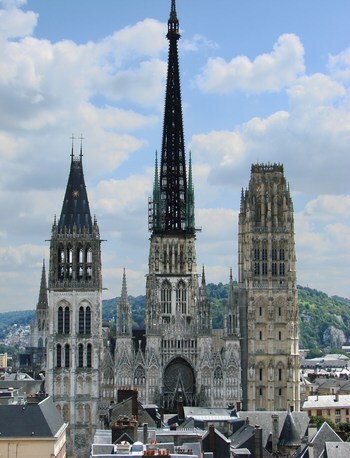 I guess everyone from England, Belgium and the Netherlands who’s going on holiday in France ends up near Rouen at around 9 am on Saturday morning and decides to stop for breakfast at the same place. Walking through the car park with two small and active children was a bit hair-raising. And we then got scared even more by something which ended up being a running theme for this holiday. Buying nothing in particular seemed to cost €30. I’m sure we only bought a couple of coffees, a couple of pastries, and a couple of orange juices. There’s no way it can cost that much. You wouldn’t mind so much, but you start thinking about the cost of the food you didn’t eat. And another thing that is distinctly different from England. The size of the coffees. When you’re used to a large coffee being something that requires a forklift to transport to your car you feel distinctly dischuffed at paying €3 or €4 for something that barely wets your mouth. And so to the first long stretch of autoroute. Somehow, Kas was driving again. Halfway down France and Kev hasn’t had a go yet. That’ll never last. Not much happens on French autoroutes. I think the tolls must keep the total numpties away. The A28 is a nice new shiny road running from Rouen to Le Mans ( www.ville-lemans.fr ). It had more traffic than last time we drove it, mainly because of the time of day (not night). You get to drive at the posted limit of 130km/hr most of the time and there’s really not much grief. The money is worth it. Every penny of it. This road passes by the town of Sées, which is famous for it’s fanatastic old abbey, and also because it’s twinned with Southwell, where Kev and big brother Phil went to school. We didn’t stop, but we did have a text discussion with Phil. Bizarrely, it turns out that one of his friends was also visiting La Rochelle for a fortnight. We’re sure we’re going to bump in to them at some point. 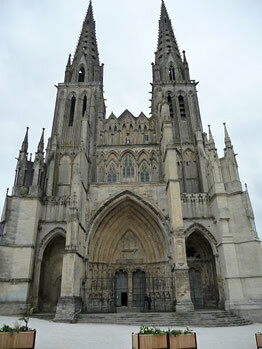 Lunch was held at the Parcé-sur-Sarthe service station south of Le Mans. We definitely stopped at this one last time too. We filled up with diesel, which seems to be the only thing in France that isn’t more expensive than the UK. It was so cheap here, in fact, that half of the pumps were empty. This service station can be recommended because it has a nice big grassy area, on which we took the opportunity to wear the daughters out with a bit of football and catch the daddy/catch the mummy. We followed this with what turned out to be a very stroppy lunch. Both children picked corn flakes and then wouldn’t eat them. Then there was the usual monster queue for the ladies toilets. Why don’t they just allocate 5 times the floor space to ladies as to blokes ? Back on the road with Kev now driving. Lots more boring motorways with Felicity doing her best to keep us informed and to keep us on track. Then it was round Angers ( www.angers.fr ) and towards La Roche sur Yon ( www.ville-larochesuryon.fr ), and then eventually south towards La Rochelle ( www.ville-larochelle.fr ). We passed a bunch of signs telling us that they’re building a new autoroute exit or two which will link the A87 with La Rochelle, but until those are done you use the old N137. Halfway down, some deep seated bad memory came to the surface as we joined the back of a four mile queue to get past a single set of crap traffic lights in the middle of Marans ( www.ville-marans.fr ). 20 minutes of crawling later we decided to back-track a bit and go around the outside. After all, we’ve got to dash round Carrefour and unload everything at the gîte before driving back to the airport to fetch Granny and Granddad. The villages of Villedoux and Puilboreau turned out to be lovely (they’re probably suburbs rather than villages, but who cares), and we eventually reached Carrefour about half an hour behind schedule. We used the big Carrefour on the outskirts of La Rochelle. We remembered the location from the last time we were here. It is a whopping great hypermarket, and although the types of content are different from a British one, it is nevertheless a nightmare to try to get round quickly with two small kids on a Saturday afternoon. And back in the car again to find Le Moulin Boutillon, our home for the next two weeks. The owner’s nephew is on duty today so that the owner can have a holiday. The necessary pleasantries were done and he helped us lug Napoleon’s military stash inside. No time to explain how the pool works, though, as we’ve got to get back to the airport. 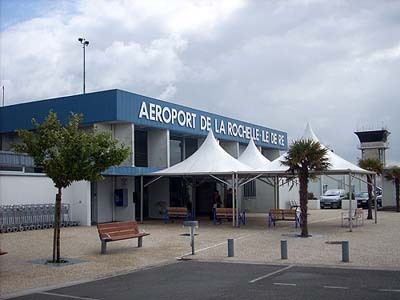 La Rochelle – Ile de Re Airport can best be described a “provincial”, but in this case that isn’t a bad thing. It is small but perfectly formed. There’s one building for departures and a few portacabins on the side for arrivals. There’s also a few fences where you can stare right though at the planes on the tarmac. Granny and Granddad were running half an hour late (flying half an hour late, I suppose), so there was plenty of time to mooch about and look around the place. We settled on the bit of fence by the arrivals “hall” and waited. There’s a nice view of the planes coming in, including a nice Ryanair ( www.ryanair.com ) from Dublin and then a little chug-chug turboprop Flybe ( www.flybe.com ) from Birmingham, which has Granny and Granddad onboard. We did our best to shout as they walked down the steps off the plane but nothing registered, I think it was just too far for them to hear us. 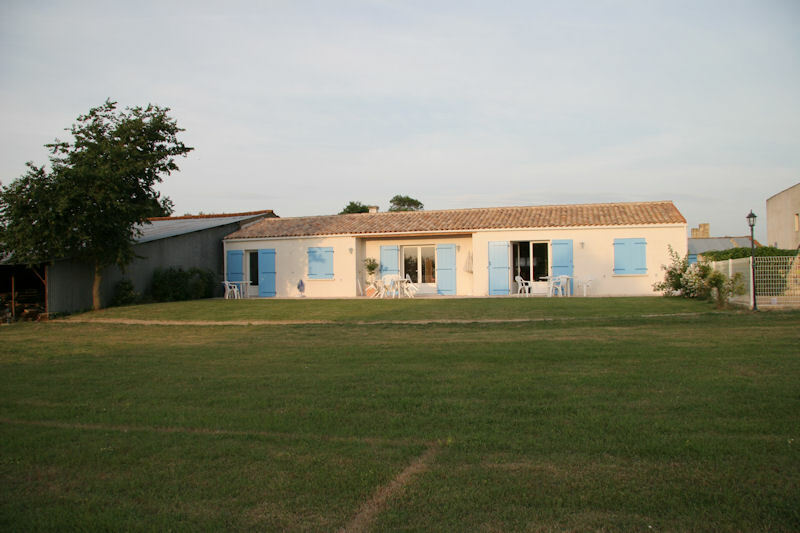 However, it doesn’t take long to get through an airport this small, so we met up soon and returned to Le Moulin Boutillon for some much needed sleep. We attempted (and failed) to work the swimming pool and to get the kids to eat anything, We attempted successfully to have pizzas and wine. But mainly we all needed some sleep. Well, we all got here safely. It’s probably a good idea to do as little as possible tomorrow….